CHELMSFORD, UK, 12th MARCH 2018, DBS Data the UK business and consumer marketing data experts today announced the appointment of Gary Brandon to the new role of Commercial Director. Gary has worked in the direct marketing and data solutions industry for more than 12 years. 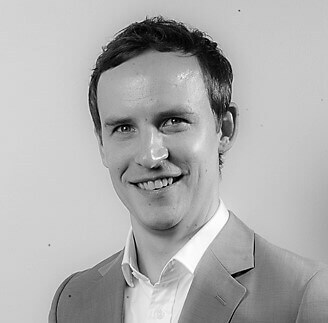 Within DBS Data, he has worked across all aspects of the sales and account management teams providing the full range of data solutions to direct clients, agencies and market research. In his new role as Commercial Director, Gary heads up the Enterprise and Partner business as well as overseeing the other business units which includes direct, agency and market research. One of Gary’s first actions as Commercial Director has been the successful launch of SONAR, a B2B customer acquisition solution that enables DBS’s clients to uncover commercial opportunities and improve engagement with their respective markets, by tracking the behaviour of 150 million organisations across the web. This solution is now embedded within DBS Data comprehensive B2B data solutions portfolio. Since 1994, DBS Data has been a trusted source of compliant and innovative B2B and B2C data solutions. The company believes that properly targeted communications, utilising accurate and reliable data, benefits consumers and businesses alike and that good data lies at the heart of any meaningful communication. Today, its 45,000,000 record B2C data-pool is one of the most comprehensive resources for consumer data available on the UK market, complemented by DBS’s own Pre & Post Campaign Analytics service. DBS has also innovated in the delivery of Data As A Service, with its Verifi solution enabling marketers to verify and append data in real-time, during omni-channel interactions. It has also built in-house its own 31 million record goneaway suppression file – Purifi, as well as recently launching a 2.5 million record charity file. The company has a reputation for ethically sourced and managed data and has pioneered in this area with the introduction of the industry’s first 28-day suppression and ethical data policies. DBS has also taken a leading role in driving standards throughout the data industry driving awareness of issues relating to compliance (particularly GDPR) and collaborating with the DMA to become one of the first businesses to pass its extended compliance audit process.